Competition in the premium TV market is expected to be cutthroat. 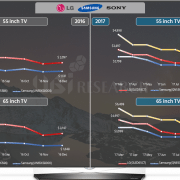 The market share of OLED TV is on the rise in the premium TV market due to Sony’s entry into the OLED TV market and LG Electronics’ aggressive price cuts. 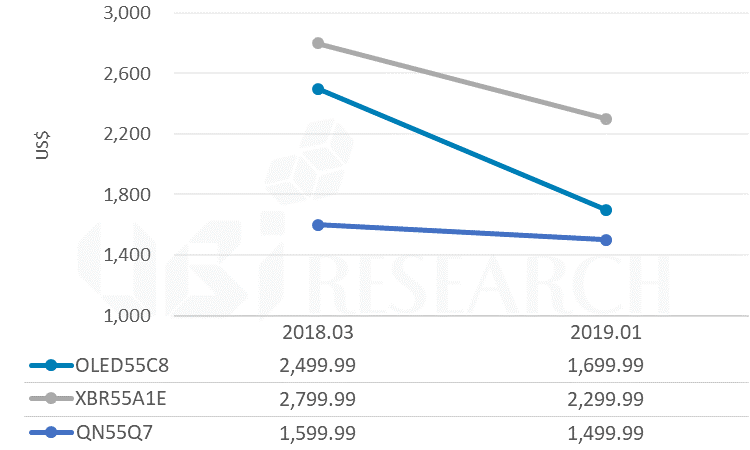 However, LCD camp is responding with 8K high-resolution strategy, and attention is focused on whether it can prevent the rise of OLED in the premium TV market. Sharp has already started selling 8K LCD TVs for the first time in the world since last year. 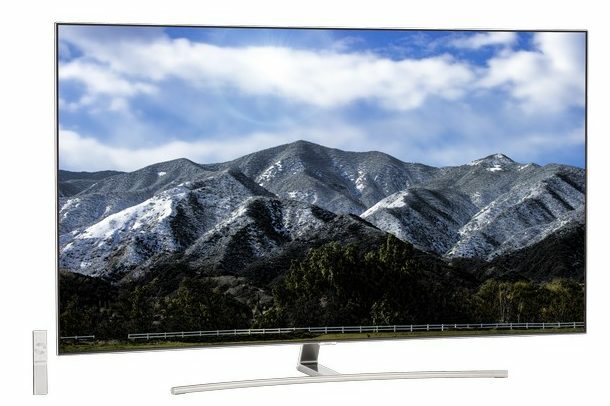 Samsung Electronics showcased 8K TV at CES earlier this year, and will launch 8 K QLED (QD-LCD) products in the second half of the year. 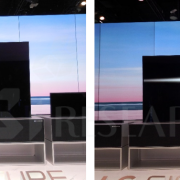 In the OLED camp, LG Display exhibited 88inch 8K OLED TV at CES, but the launch of 8K OLED TV in the second half is still unknown. OLED TVs, which are currently in mass production, are based on bottom emission type. Thus, the light is emitted from the remaining portion of the pixel except the TFT region since the light is emitted through the TFT. Therefore, in the same size TV, as the resolution increases, the pixel size becomes smaller, but the area where the size of the TFT is reduced is limited, so that the area where the light is emitted becomes narrower. 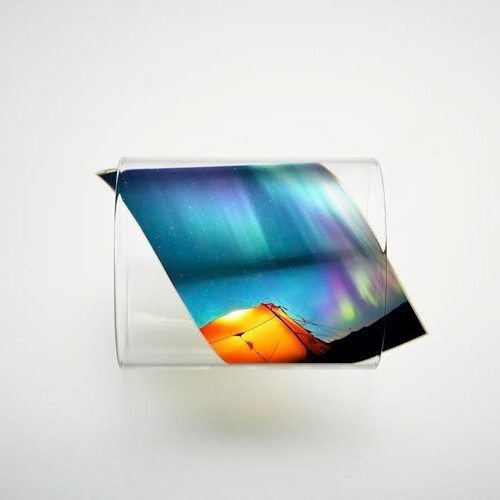 Consequently, in order to realize a high resolution at the same size, it is necessary to broaden the aperture ratio as much as possible or improve the performance of the emitting materials. As a way of increasing the aperture ratio, there is a method of applying a top emission structure. 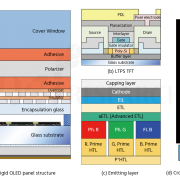 Since the top emission structure emits light in the encapsulation direction, not the TFT direction, it can secure a wider aperture ratio than the bottom emission. However, there are pending problems that the encapsulation using opaque metal sheet should be changed to a transparent material and the color filter should be formed above the encapsulation with the change of the process. The development of TADF blue and new blue materials is actively underway in the emitting material side. The 88inch 8K OLED TV released by LG Display is made with a bottom emission structure and its ppi is about 100, which is about 20% higher than 80 ppi of the 55inch 4K currently being sold. When the pixel size is compared with the whole display size, the 55 inch 4K pixel is calculated to be about 40% wider than the 88inch 8k pixel. In order to achieve the same level of brightness and lifetime as 55inch 4K, it is necessary to optimize the TFT design and improve the performance of the emitting materials to make up for the 40% decrease in pixel size. 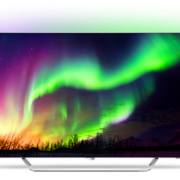 The industry is paying attention to whether the 8K OLED TV will be launched, with resolving above-mentioned issues, against the 8K LCD TV, which is expected to be released in the second half of the year. 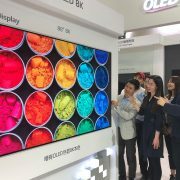 http://olednet.com/wp-content/uploads/2018/07/LG-8K.jpg 430 750 OLEDNET /wp-content/uploads/2015/09/logo_oled.png OLEDNET2018-07-16 10:58:462018-07-16 11:00:198K OLED TV, Can we see it in the second half of the year? Following Bang & Olufsen and SONY, Philips’ OLED TV was launched in Korea on June 11, 2018. Philips’ OLED TV, applied with LG Display’s OLED panel, is available in two models; 55 – inch and 65 – inch. It features a quad – core CPU, HDR 10, Dolby Vision and DTS surround. In coming September, Germany’s Loewe plans to launch three (bild5, bild7, bild7 edition) 65-inch OLED TVs using LG Display’s panel, and also Hisense is scheduled to release OLED TV this month. Especially, when Hisense, which is the leader in the Chinese TV market, releases OLED TVs, it is expected to enhance the awareness about OLED TV in China as well as increase the portion of OLED in the premium TV market. 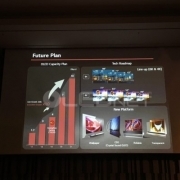 In the ‘OLED/Display comprehensive seminar’ held by UBI Research, So Hyun-chul, director of Shinhan Financial Investment, said that Sony ranked the first in the premium TV market in 12 years and Sony’s share price rose 445% with its main driving force of OLED TV. In addition, LG Electronics’ HE division achieved an operating margin of 8.1% last year. In the major set makers, OLED seems to be the Key factor that increases the company’s sales and improves the market share in the premium TV market. As such, OLED portion is anticipated to expand further in the premium TV market. 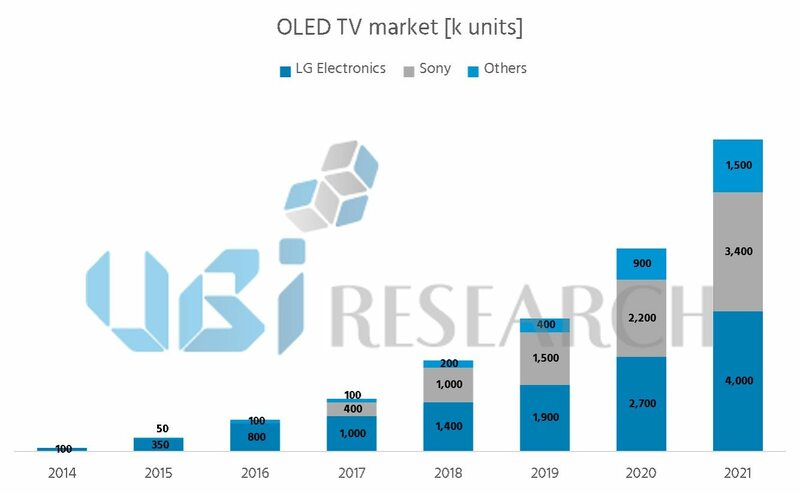 Meanwhile, UBI Research predicts that OLED TV sales will be increased by about 30% annually and the revenue is projected as about US$ 5.7 billion in 2022 through the ‘2018 OLED Panel Industry Report’, which was published in February. 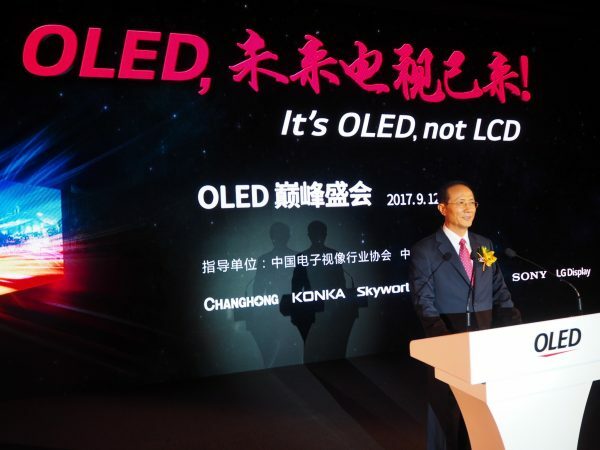 http://olednet.com/wp-content/uploads/2018/06/1806141.png 275 476 OLEDNET /wp-content/uploads/2015/09/logo_oled.png OLEDNET2018-06-14 13:32:212018-09-25 21:20:35In Premium TV market, OLED portion is growing. http://olednet.com/wp-content/uploads/2018/06/1806141.png 275 476 oled /wp-content/uploads/2015/09/logo_oled.png oled2018-06-14 10:46:332018-09-25 21:22:55In Premium TV market, OLED portion is growing. 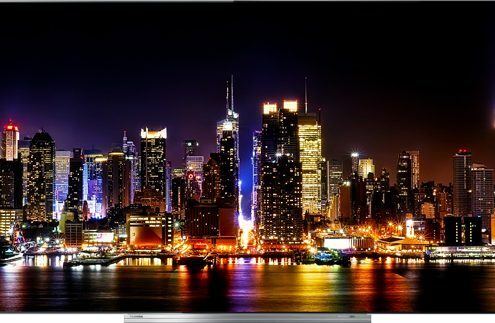 Micro LED TV, is the price competitive compared to OLED TV? 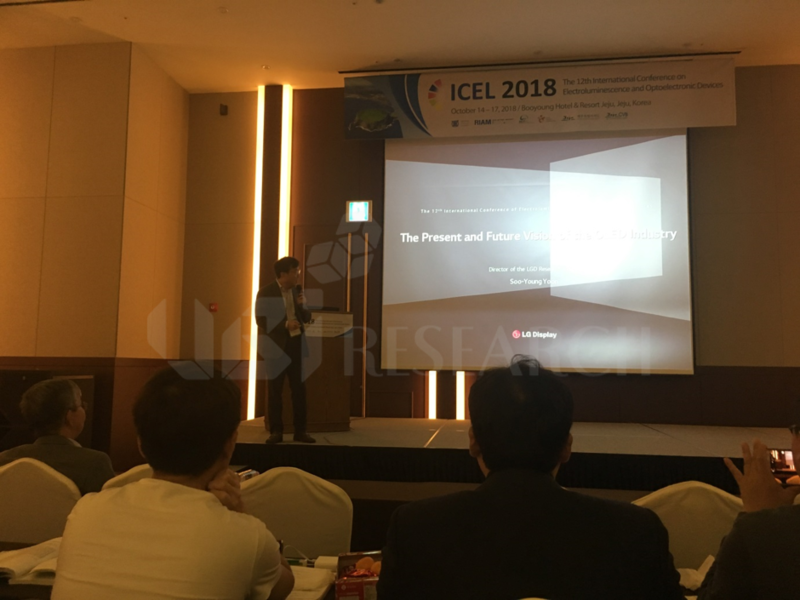 Moon Dae-Gyu, professor of Soonchunhyang University, mentioned as above while explaining the micro LED technology at the ‘latest OLED technology trends seminar’ organized by UBI Research in Seoul COEX on April 26th, 2018. 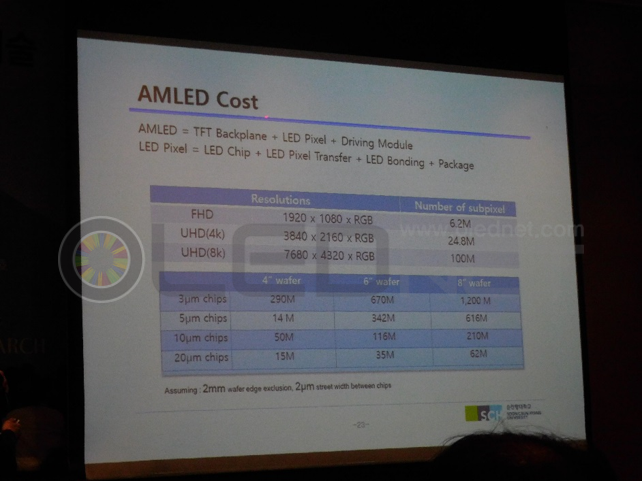 “Micro LED is attracting attention as a technology capable of realizing a high resolution display of 1,000 ppi or more. 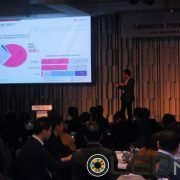 Since micro LEDs are individually obtained from a LED wafer by the photo process, they are not affected by the size and shape of a substrate, and have the merits that the advantages of existing LED such as luminance, lifetime and low power consumption, can be applied as they are.” professor Moon added. In addition, it is expected to be a good environment to show the advantages of micro LED in the field where power consumption is very important, such as wearable appliances. 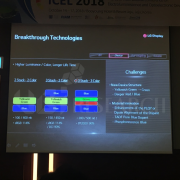 He also predicted that it is possible to implement display in no tile form in very large display area such as public display and digital wall, which might be easy segments for micro LED to enter. 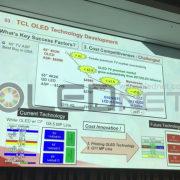 http://olednet.com/wp-content/uploads/2018/05/180430_micro1.png 481 642 OLEDNET /wp-content/uploads/2015/09/logo_oled.png OLEDNET2018-04-30 10:11:032018-09-25 21:40:37Micro LED TV, is the price competitive compared to OLED TV? Recently the smart phone market is led by smart phones that use full screen OLED, and premium TV market is dominated by OLED TVs. In order to realize full screen OLED and UHD resolution large area OLED, different structures and processes have been applied, but it is difficult for the display related companies to grasp them in detail. 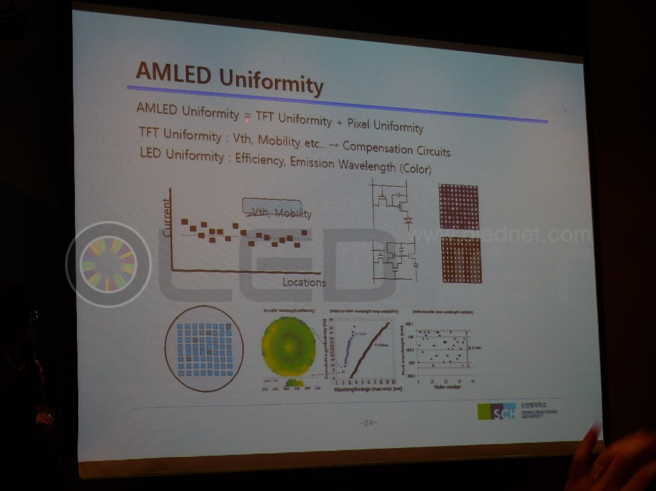 UBI Research just published the ‘AMOLED Manufacturing Process’ report, which analyzes the latest processes both for small and medium- sized OLED and large area OLED. As the report analyzes the structure and manufacturing process by dividing AMOLED into small & medium size and large area with additional description and diagram for the inspection process of small & medium sized AMOLED, it is expected to help to understand the overall structure and core processes of AMOLED. Chapter 1 of the report covers the overall structure both for small & medium sized OLED and large area OLED, ranging from AMOLED substrates to modules. 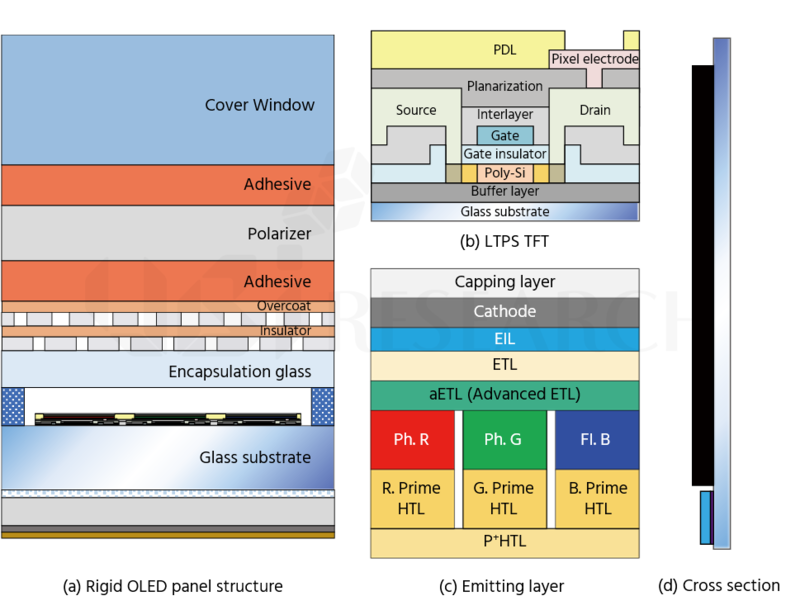 In Section 2, the double poly (polyimide) process, LTPS TFT & oxide TFT process, pixel process both for OLED & solution processed OLED, process by encapsulation, cell process, and module process are sequentially analyzed. In Chapter 3, the inspection & measurement process of small and medium-sized AMOLED is described with all the list of major equipment. 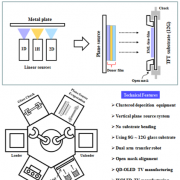 Also, Samsung Display’s pad bending process both for 9-mask LTPS TFT and 13-mask LTPS TFT, and LG Display’s oxide TFT process for large-area OLED are described from Chapter 4. Since the equipment and materials used at each process are analyzed in detail, the report is very helpful to understand easily the latest TFT process. 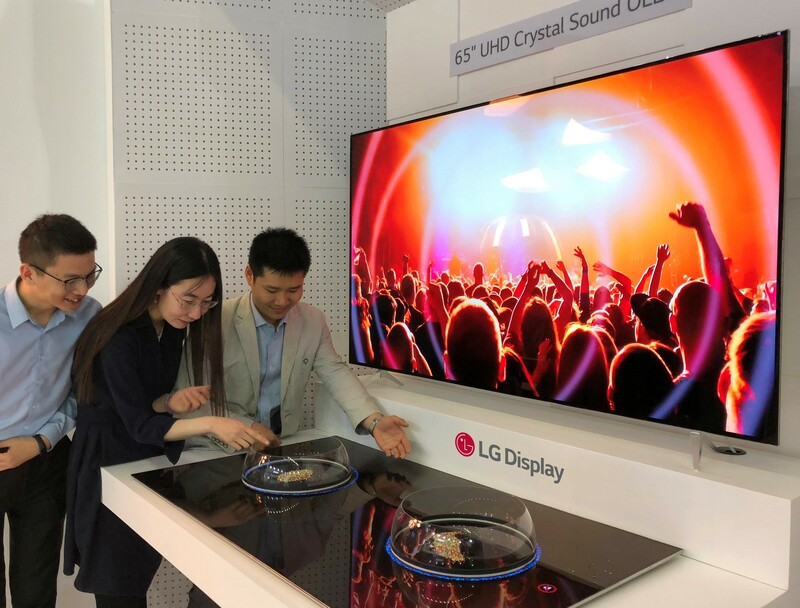 LG Display is showing OLEDs applied to various applications in the ‘China Information Technology Expo 2018’ held in Shenzhen, Guangdong, China from April 9 to 11, 2018. CITE is the largest information/electronic exhibition in Asia hosted by China’s Ministry of Communications and the local government of Shenzhen, held every year recording more than 1,500 exhibitors participating and about 160,000 visitors attending. 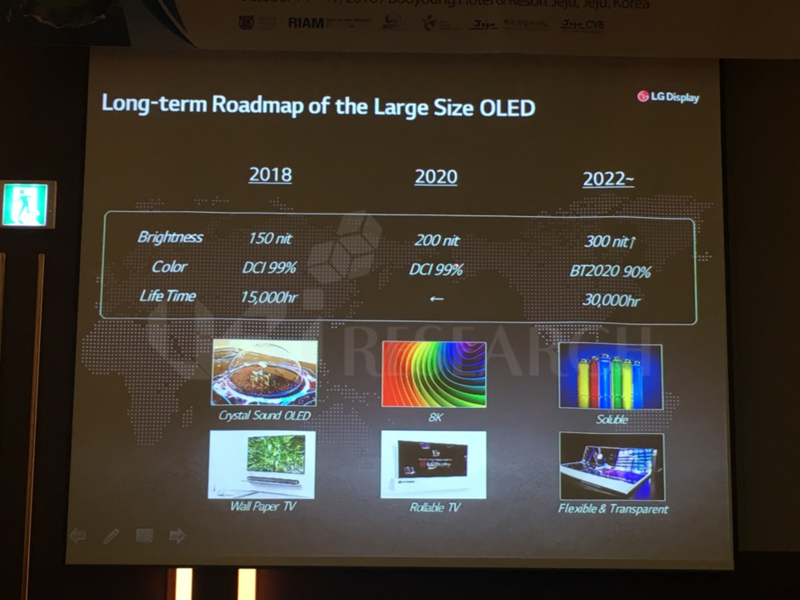 Based on the slogan ‘OLED is already in the spotlight’, LG Display is demonstrating not only picture quality, but also the possibilities of OLED products in terms of application range and design. 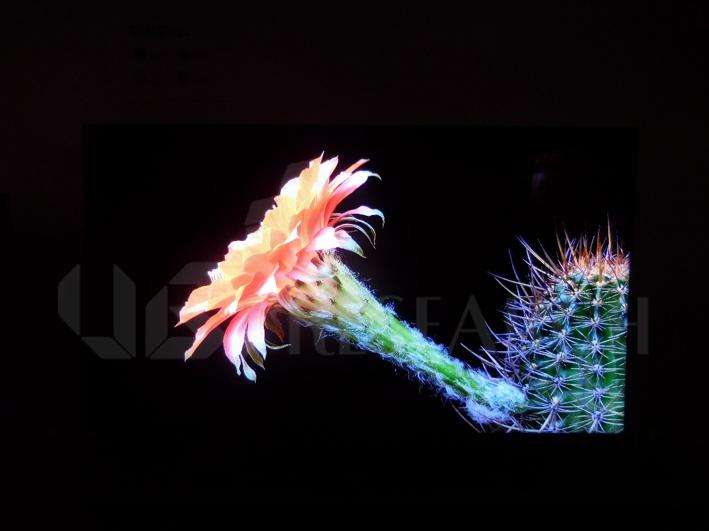 OLED is widely regarded as the best display in the world in terms of brightness, color accuracy and viewing angle. In particular, large area OLED, has gained popularity in the premium market, which LG Display has developed uniquely and meets various consumer needs with different image quality and new design potential. 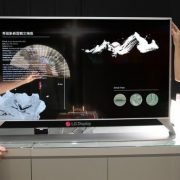 LG Display exhibited the world’s first 88-inch 8K OLED, which was unveiled earlier this year, attracting visitors. It is the largest of all existing OLED TV products and delivers four times (7680×4320 resolution) sharper picture quality than UHD (3840×2160 resolution). OLED is a self-luminous display, and is easy to realize high resolution 8K since there is no brightness drop due to the reduction of the aperture ratio. 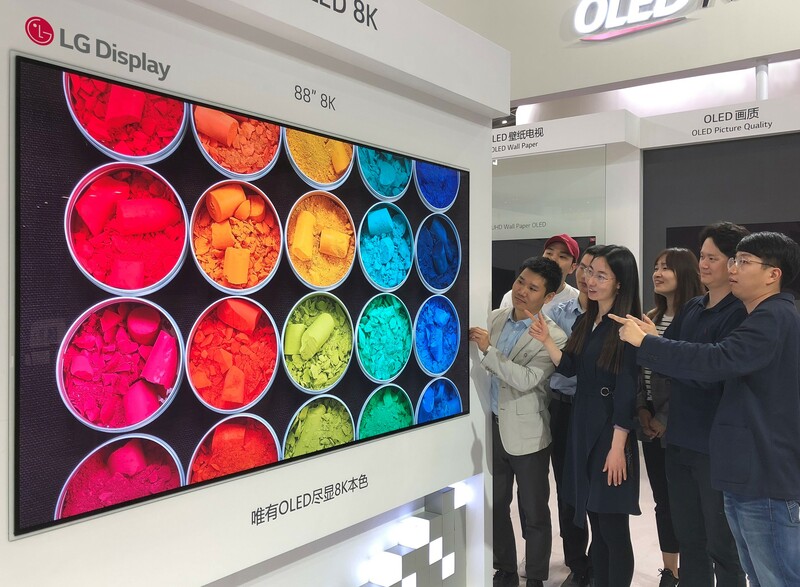 With LG Display’s innovative process/design and compensation technology added, OLEDs are expected to lead the ultra-large/ultra-high-definition market by realizing true 8K. 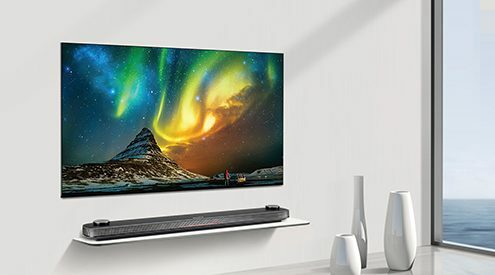 LG Display also exhibited the 65-inch CSO (Crystal Sound OLED) with speakers, and won the CITE 2018 Technology Innovation Gold Award for the most innovative products. It is an innovative product that makes the sound system internal to the panel, bringing sound directly from the screen. Instead of listening to the sound coming from separate speakers, it matches the position of the screen and sound, maximizing the sense of presence and immersion. 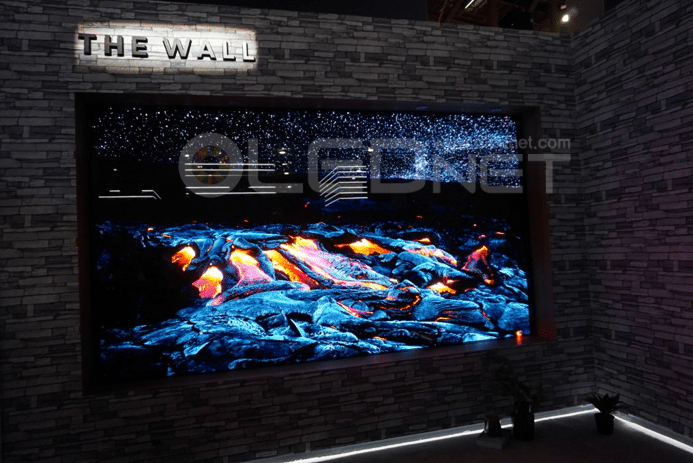 In addition, it introduces various application possibilities while showcasing a 77-inch UHD wallpapers OLED, which can be closely adhered to the wall to enhance the interior effect of the living room, and a round shaped pillar product consisting of six 77-inch UHD OLEDs. Meanwhile, LG Display showed OLED lighting in China for the first time in this exhibition. OLED lighting is environmentally friendly because it consumes less power and heat than conventional lightings, and is a premium light source that minimizes eye fatigue by being close to natural light. It is free to implement curved surfaces like OLED displays, and provide consistent light as a unique surface light source. OLED lighting panels are available in various shapes: circular, square, rectangular, and others. According to the ‘2018 OLED Display Annual Industry Report’ published by UBI Research in February, the OLED market is predicted to grow at an annual average of 22% from US$35.7 billion in 2018 to US$ 78.2 billion in 2022. LG Electronics announced through its Q4 2017 earnings conference call, the sales of HE (Home Entertainment) Division increased by more than 10% compared to the same period of last year due to the demand for high-demand season of TV market and the sales of premium TV. Regarding the 2018 forecast, “there are still external environmental risks such as exchange rate fluctuations, but the global TV market will increase with sporting events”, they added. As a result, the HE Division will pursue sales growth through marketing centered on premium TVs while maintaining a stable profit structure through continuous cost-cutting activities. They answered to the question when OLED TV shipments exceed 5 million units, “OLED TV shipments in 2017 were doubled compared to 2016 and the sales are expected to rise at a similar level in 2018”. And, “if this trend continues, that point will be 2020″, they said. They also emphasized that it is more important for OLED TVs to have a premium position in the TV market rather than shipments, and how much they will secure OLED TVs. On the other hand, the sales of MC(mobile communication) Division increased 9% QoQ to KRW3.655 trillion thanks to the release of LG V30, a premium smartphone equipped with OLED, in the fourth quarter of last year. However, the division posted an operating loss of KRW213.2 billion due to increased costs of smartphone major parts such as memory and marketing expenses. In order to overcome these operating losses, MC Division plans to increase customer satisfaction by implementing the strategies that enhance product completeness and reliability. In addition, the next strategic model will strengthen AI ​​function, audio and camera functions, which are the strengths of LG Electronics. 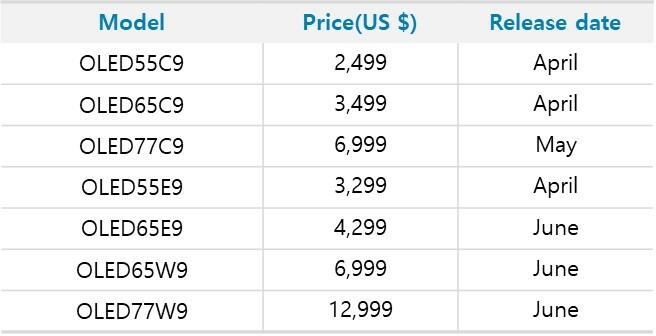 Until the next strategic model is launched, we will continue to release upgraded and mid-priced models of LG V30 and G6. At the same time, we will minimize sales losses by reducing costs with our unique platform. The number of OLED TVs exhibited at CES 2018 increased to 31, which was a significant increase of 17 from CES 2017. The number of OLED TV companies that exhibited at CES 2018 were 7 including LG Electronics, Sony, Panasonic and Skyworth. At CES 2018, OLED TVs were exhibited with 6 for 55-inch, 19 for 65-inch, and 6 for 77-inch. 65-inch OLED TVs were most on display, and it was noticeable that many companies were focusing on 65-inch OLED TV products. 77-inch OLED TVs in 6 types same as 55-inch were exhibited so that it was found to be included in the main lineup. 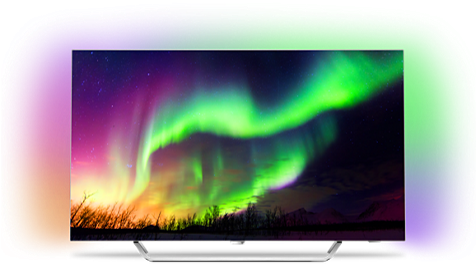 In addition, the display resolution of all OLED TVs was UHD because UHD products were mainly displayed according to consumers’ demand for high-definition TV. OLED TVs with FHD resolution had been exhibited until 2015, and only OLED TVs with UHD resolution have been on display since 2016. 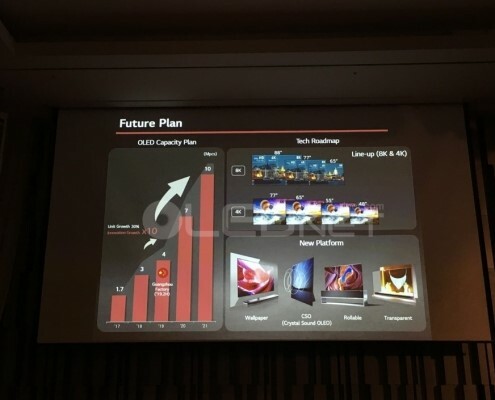 Meanwhile, LG Display’s Vice Chairman Han Sang-beom said, “We will raise the sales portion of OLEDs to 40% of total sales by 2020” in a press conference on 8th local time, which implied that OLED TV market will be more expanded. 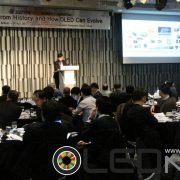 In addition, Vice Chairman Han Sang-beom said that two major Chinese companies will join the OLED market. As a result, the number of OLED manufacturers will grow from 13 to 15, including LG Electronics, Sony and Panasonic so that the OLED companies are expected to be expanded further. OLED TV, which is currently leading the premium TV market, is expected to see a bigger rise. 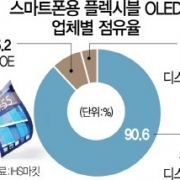 The director, So, Hyun-cheol, mentioned during the ′Closing seminar of OLED/Display′ held at COEX in Seoul on December, 7th about that OLED TV has made 9.9% of operating profits for LG Electronics in Q3, 2017. He forecasted there, Sony and LG Electronics who are producing OLED TV now will lead the premium TV market in the future also, in particular, while explaining about that the demands have highly increased as OLED TV entered into under $3,000. The director, especially, explained that Sony took No.1 player in the premium TV market in 12 years, moreover, one of the driving forces for stock price rise of them at 445% in 2013 was OLED TV. He evaluated them such followings that “Sony has starting to improve the structure of operating profit by focusing on 55-inch and 65-inch TV, and “They built the TV business structure in stable through launching OLED TV in 2017”. 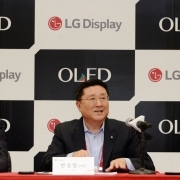 He also expected that the investment for 10th generation OLED producing line of LG Electronics will be moved sooner than expected. He also forecasted that demands on large-sized OLED TVs will rise due to the Winter Olympic Games in Pyeong-chang and World Cup in Russia next year, especially, its investment of OLED line will be accelerated, because Sony would also want it. 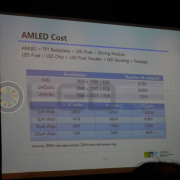 Subsequently, while the director mentioned that the cost savings will be accelerated by improvement of yield of OLED TV panel, he said, “Although, 55-inch LCD panel is difficult to improve the production cost more since it is already reached to enough yield as 232$, but, the price competitiveness in the 55-inch OLED production cost will be intensified more, because, there is still able to reduce it from current 545$ up to 378$ by the yield improvement”. Lastly, Mr. So, expected that the sales volume of OLED TV panel will reach to 2.9 million units in 2018 by operating E4-2 line of LG Display in full. 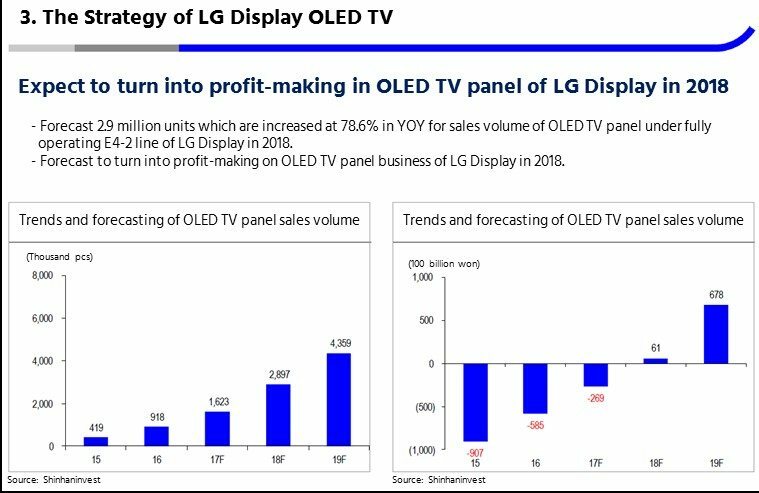 The panel business will be turned into profit-making, and operating profits of OLED TV business shall meet 17.3% in 2019. 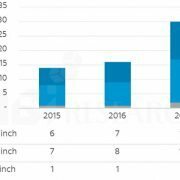 OLED TV models launched in 2017 have been highly increased rather than both 2015 and 2016. 16 types of OLED TVs were launched in 2016, while 29 kinds of OLED TVs were launched which covers that the number of products has nearly doubled from last year. By company, LG Electronics released total 10 types of products which are the greater number of products launched than competitors, and followed by Loewe with 5 types of products. Meanwhile, OLED TV market led by LG Electronics, was taken attentions of publics when Sony decided to launch OLED TV first in the early of 2017. Sony which launched OLED TV first in CES 2017 to catch public’s eyes with “Acoustic Surface” technology that can make sounds without speakers, is leading the premium market with LG Electronics by producing 55-inch, 65-inch and 75-inch OLED TVs. 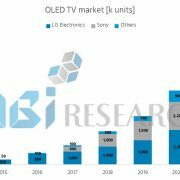 The number of OLED TV products are expected to increase in 2018 more and more. According to Flat Panels HD, Philips which launched only one model with 55-inch OLED in the early of this year, decided for releasing the 6 kinds of OLED TV such as 65OLED973, 65OLED903, 65OLED873, 65OLED803, 55OLED903, 55OLED803 and so forth. It is analyzed that the strategy is to aim at diverse consumers which divides OLED TV leading the premium TV market into high-priced line with 9xx model and low-priced line with 8xx model. The shipment in 2018 is also expected to grow. In accordance with UBI Research, it expects that OLED panel with 55-inch and more will shipped over 2.4 million units in 2018, 9.1 million units in 2022. There is much attentions how OLED TV leading premium TV market will harden its positions all the more in 2018. In the premium TV market, price competition is on the rise. The basic premium TV models (55 inch, 65inch, flat type) such as QN55Q7F and QN65Q7F (Samsung Elec. 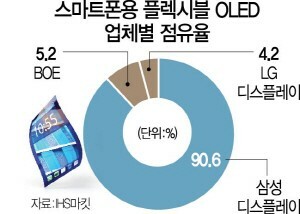 ), OLED55C7, OLED65C7 (LG Elec. ), XBR55A1E and XBR65A1E (Sony), launched in Amazon (www.amazon.com) in March 2017, are compared to one another). As a result, the average price of 55 inch models of those three manufacturers dropped by 54.8% from March to October; especially Samsung Elec.’s QN55Q7F showed the highest drop from $ 2,798 in March to $ 1,598 in October. The 65 inch model showed a similar phenomenon. 65 inch dropped 60.0% on average from March to October while Samsung Elec.’s QN65Q7F showing the most dramatic decline from $ 3,998 in March to $ 2,498 in October. 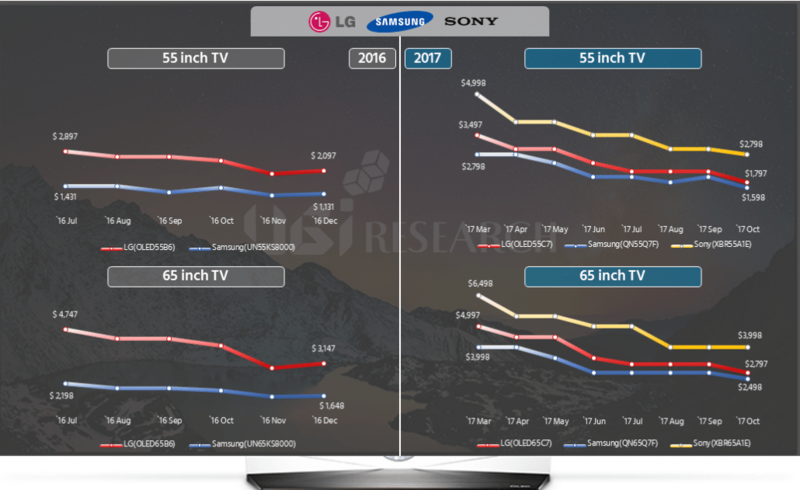 Notably the price difference between 55 inch LG OLED TV and Samsung SUHD TV, both of which were released in 2016, was about $ 1,000 as of Dec 2016, and for 65 inch models, 1,500$ while those released 2017 showed a significantly narrowed price difference as of October 2017-55 inch 200$, 65 inch 300$. 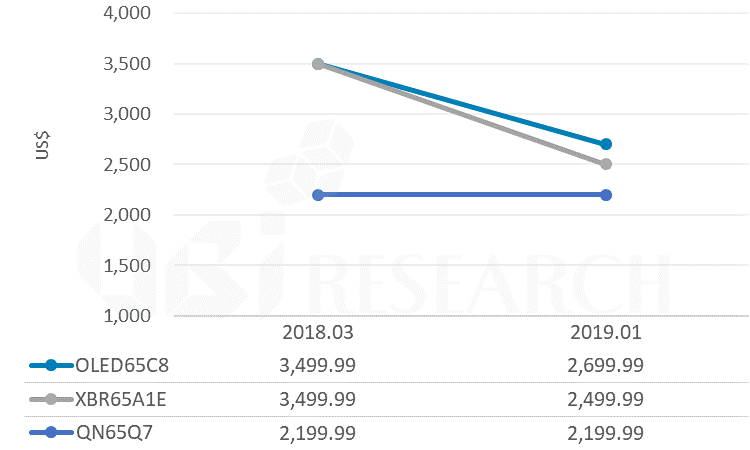 The reason why OLED TV prices are catching up with the premium LCD TV prices is significantly due to stabilization of LG Display production yield. In particular, if the E4-2 line of LG Display, which has started operating since the second half of this year, is fully in operation from 2018, LG Display’s large OLED panel production is expected to increase by 41% to 2.4M units from about 1.7M units in 2017; the OLED TV will accelerate market expansion. LG Display’s OLED TV panel sales in October more than doubled thanks to surging sales of major global TV customers such as LG Electronics, Sony and Philips. LG Display’s OLED TV panel sales exceeded 200,000 units for the first time in October, followed by sales plan of exceeding 210,000 units in November. With the help of Sony’s OLED TV which released LG Display’s OLED TV for the first time this year, it has achieved an overwhelming market share of 74% both in units and sales in the 55” and 65” TV market and OLED TV Set. 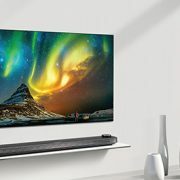 In North America, Sony’s sales volume in September increased by 2.1 times compared to the previous month, and in Europe, Philips in its third quarter increased by 5.9 times compared to the previous quarter, and sales of LG Electronics, family of OLED TV, together with North America and Europe, experienced an increase of OLED TV sales in September with a surge of 1.5 times compared to the previous month. 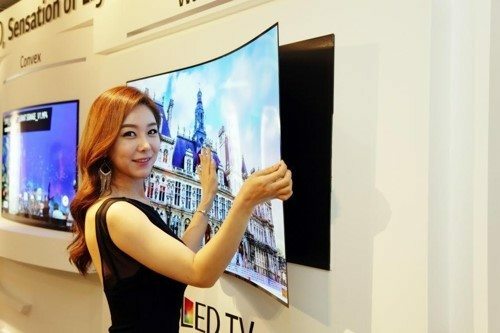 Particularly last end of July, it had only been 3 months since LG Display announced the move to invest in OLED to lead the future display market when TV sales are rapidly growing, with OLED becoming the trend of the Premium TV market. This trend is due to the surge in consumer demand after 13 global TV companies introduced OLED TVs in front of the premium TV lineup at the IFA exhibition last September, and the demand for LG Display have increased not only for until the end of the year but even until next year. Accordingly, LG Display’s OLED TV sales are expected to leap over 1.7 million units this year, exceeding market expectations of 1.5 million units, and 2.7 million units are expected to be sold next year. LG Display plans to raise utilization of the E4-2 line to the maximum in Paju, which started operation in this second half of the year. 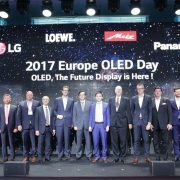 Meanwhile, LG Display has actively promoted the trend of OLEDs in the display market and has recently opened ‘OLED Day’ events in China and Europe. 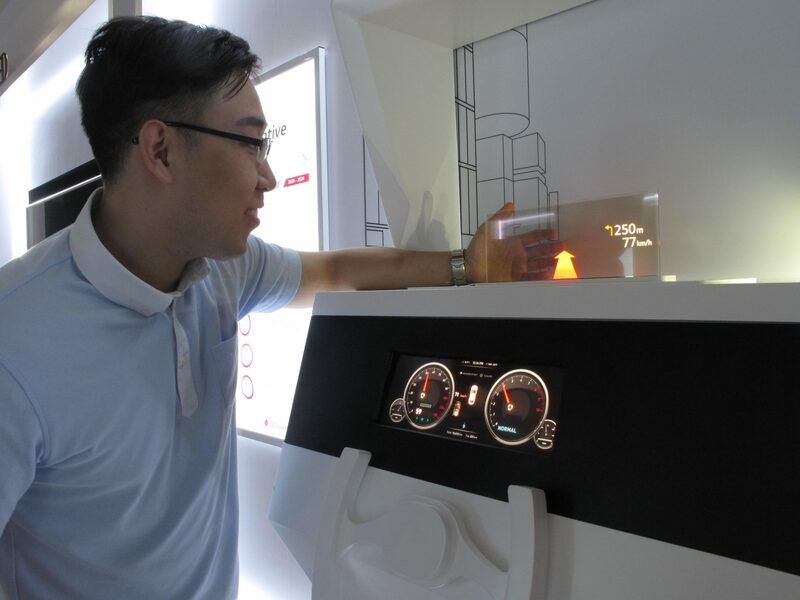 In addition, OLED Experience Center has been installed in 8 major cities in China to show OLED potential and future technologies to consumers. On the 26th, LG Electronics announced its 2017 Q3 performance through conference call. 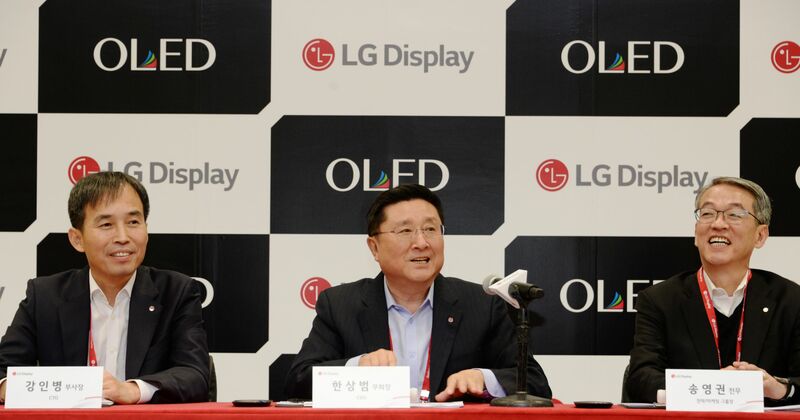 LG Electronics recorded consolidated sales of KRW 15.2241 trillion in 3Q and operating profit of KRW 516.1 billion. Sales and operating profit grew by 15.1% and 82.2% YoY respectively. Sales are the highest in 3Qs ever. In particular, sales of premium TV increased, and HE division posted record-high quarterly results with operating profit (KRW 458.0 billion) and operating margin (9.9%). In addition, operating profit (KRW 882.9 billion) and operating margin (9.2%) are the highest in the household appliances business including household appliances and TVs. 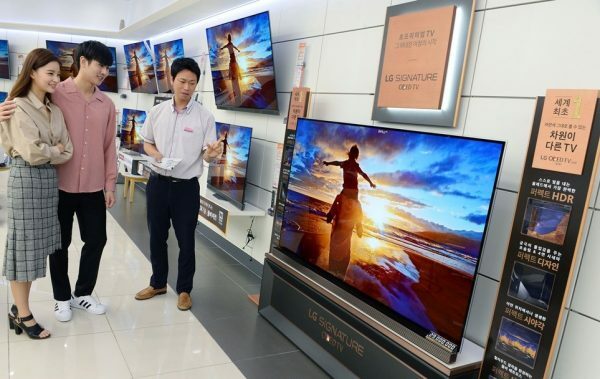 LG Electronics announced that its HE division posted sales of KRW 4.6376 trillion and operating profit of KRW458 billion, and sales of premium TVs such as OLED TVs and UltraHD TVs increased steadily, with 12.0% YoY growth. It is known that the operating profit and operating margin (9.9%) reached a record high on a quarterly basis due to improved profit structure by expanding sales of premium products. 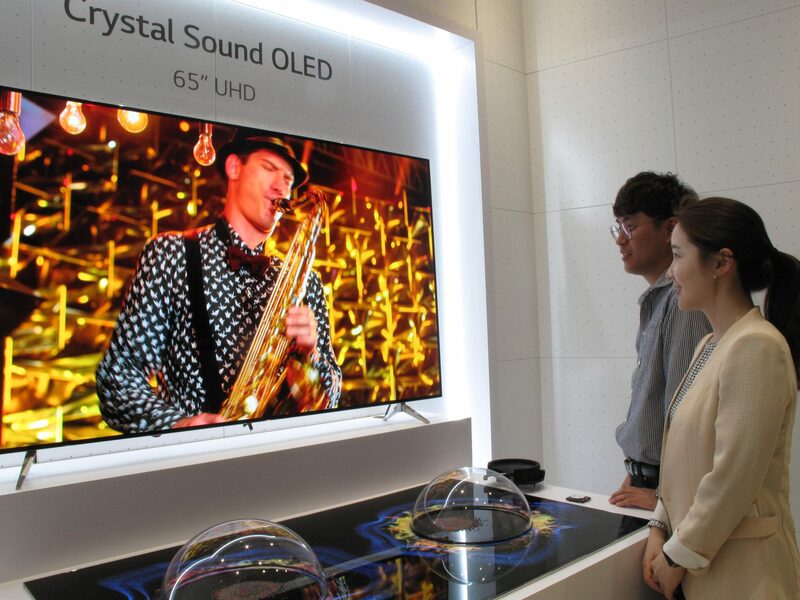 LG Electronics said on Oct 11 that monthly sales of OLED TV have exceeded 10,000 units for the first time in Korea and that it is speeding up its popularization. 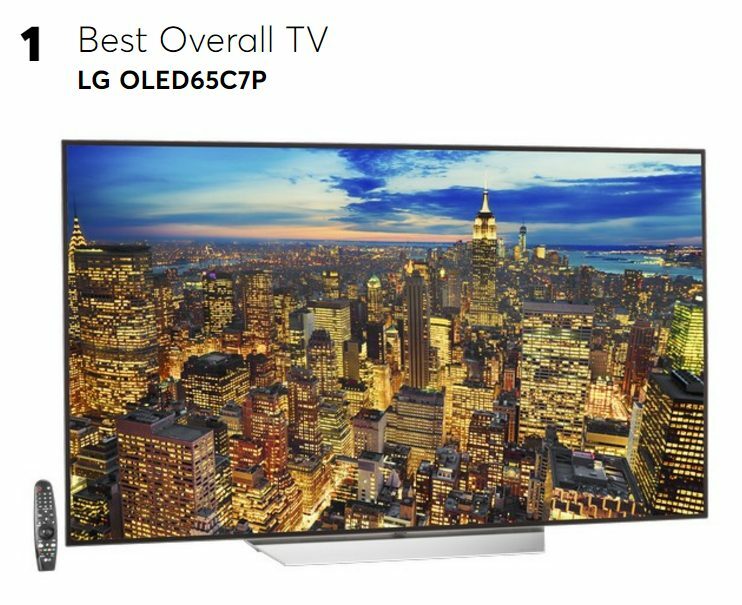 LG OLED TV has been recognized for its image quality by being awarded the top spot in the performance evaluation conducted by non-profit consumer magazines in 11 countries including the US and UK this year and the price of the 55-inch OLED TV has dropped to the mid-2 million level, and It is regarded as the cause of goodness of its sales. LG Electronics announced on last 11th that LG OLED TV is speeding up the popularization with the monthly sales volume of 10,000 units and above for the first time in Korea. In addition, Sony, which joins the OLED TV camp in 2017, is enjoying great popularity and continues to expand its market share in the premium TV market. As such, OLED TV is leading the premium TV market by improving cost competitiveness through cost reduction as well as excellent image quality. OLED TVs are currently being mass-produced by LG Electronics, Sony, Toshiba and Panasonic. Although all set makers that produce OLED TVs use OLED of LG Display, they are producing OLED TVs with different characteristics and advantages. First, LG Electronics mentioned OLED’s vivid image quality and wall paper design as advantages of OLED W7 which is a signature TV. LG Electronics mentioned that OLED, which is a self-luminous element, can express near-infinite contrast ratio and rich color close to nature, and supports Dolby vision HDR and HDR10 to experience vivid image quality. Also, introduced that a 4.6mm of thin panel provided the experience of seeing the theater screen and all parts except the panel were housed in a space called innovation stage and completed the perfect wall paper design. Sony emphasizes sound, image quality and simple design as the advantage of 4K BRAVIA OLED TV A1E series. 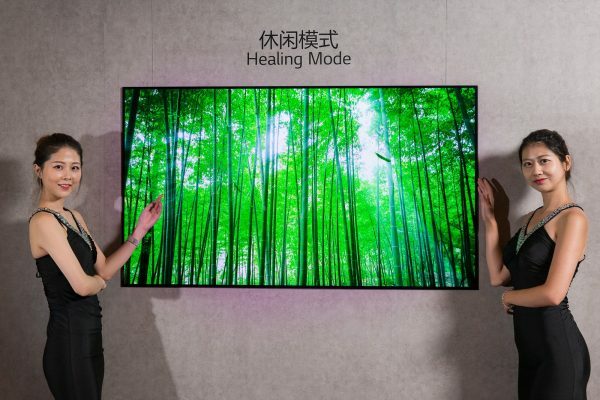 It mentioned that the TV screen, which attracted great attention in last year’s CES 2017, can provide an enhanced immersive feeling by applying the ‘Acoustic Surface’ that the TV screen vibrates and makes sound by itself. In addition, the ‘X1 extreme processor’ HDR chip has been applied to improve the picture quality of OLED TV, and the cable is housed in the stand on the backside so that the simple design is realized. Toshiba then mentioned a high color gamut of 100% DCI-P3 and a high brightness of over 800 nits as the advantages of the REGZA X910. It said that it increased the color reproduction rate to express natural colors and improved the brightness to express the bright and dark parts in richer gradations and strengthened HDR restoration function to realize sharp and realistic high-definition video. Lastly, Panasonic stated that it implemented full black and rich color expressions. Especially, it emphasized that it applied ‘Hexa chroma drive plus’ which is Panasonic’s high-definition technology to express high contrast and colors hidden in dark areas that were difficult to implement in LCD TV and reproduced the emotion that the video producer intended. 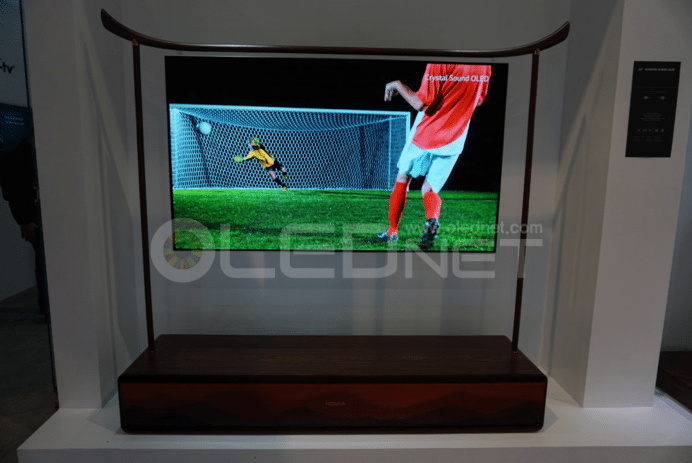 As such, OLED TV set makers are introducing different OLED TVs that emphasize their characteristics and advantages. In addition to the above four makers, LOEWE of Germany and B & O of Denmark are expected to continue to launch OLED TVs, including mass production of OLED TVs or preparations for mass production. Based on the unique technology of set makers, it is worth noting that OLED TVs with what kind of characteristics and advantages will be produced. LG Electronics OLED TV is speeding up its popularization with exceeding monthly sales of 10,000 units for the first time in Korea. ‘LG OLED TV’ was sold every four minutes last month. Compared to the beginning of this year, it’s double. LG Electronics expects sales increase of OLED TVs in the future and to rapidly increase market power. The secret to increasing sales is recognition of outstanding image quality. LG OLED TV, this year, was first in the performance evaluation conducted by nonprofit consumer magazines in 11 advanced markets including the US, UK, Germany, France, Italy, Spain, the Netherlands, Sweden, Belgium, Portugal and Australia. Unlike LCD TVs, the contrast ratio is high because it emits light without backlight. So it presents perfect black and realizes a lively screen. Consumers consider picture quality the most when purchasing TV. According to a consumer survey conducted by LG Electronics, over 40% of the respondents cited image quality as the top priority when purchasing TVs. This percentage is the highest of all purchasing considerations. Reasonable price is also the cause of good sales. LG Electronics has continuously developed technology for more consumer to experience OLED TV image quality so as to reduce the. 55-inch OLED TV prices have fallen to the mid-2 million won. It is no different from premium LCD TVs. 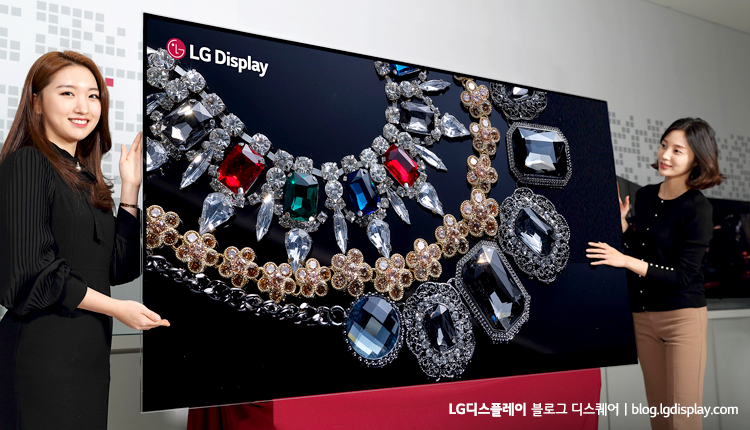 In 2013 when LG Electronics first launched OLED TV, it was worth 15 million won. ‘LG OLED TV’ accounted for about 30% of LG Electronics domestic TV sales this year and settled perfectly in the market. 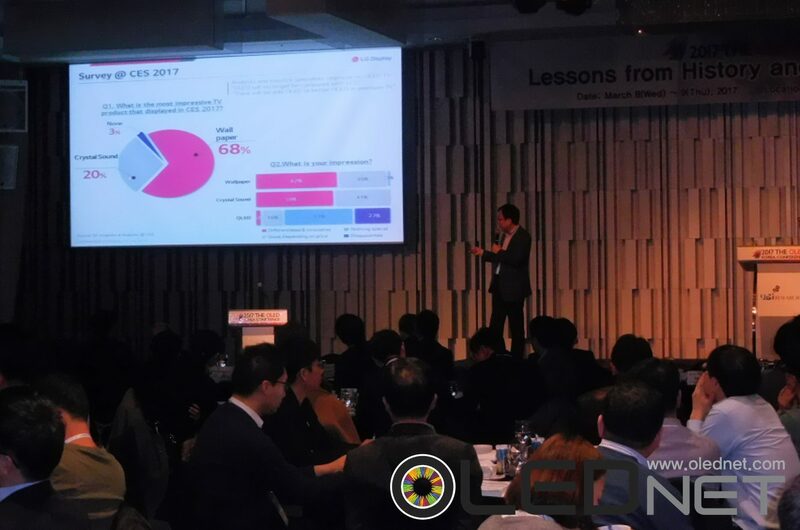 Son, Dae-Gi, LG Electronics Korea HE Marketing FD, emphasized “we will expand sales to allow more customers to enjoy ‘LG OLED TV’ image quality and have a solid profit structure by raising premium market power”. LG Display invited about 200 people of Chinese set makers, distributors and related experts and had ‘OLED Partner’s Day’ to share the status of premium TV market and OLED TV business development at Renaissance Capital Hotel in Beijing, China on September 12. 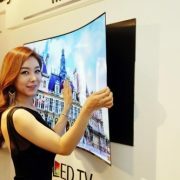 Since LG Display began mass production of OLED TV panels in 2013, it has expanded its customer base to 13 major companies in Europe, Japan and China, starting with LG Electronics. World TV set makers such as LG Electronics, Skyworth, Concha, Philips and Panasonic have set OLED TV products on the front at the IFA (International Consumer Electronics Show) 2017 in Berlin in early September. 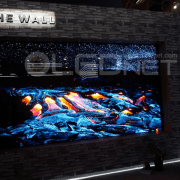 OLED TV’s market competitiveness is getting higher as major set makers in the world recognized the value of OLED TV, which has various advantages such as image quality, thickness, design, viewing angle and power consumption and aggressively launch products. 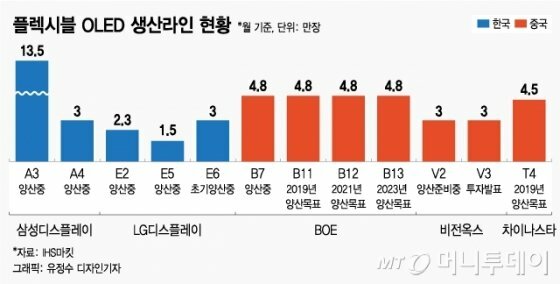 Yeo Sang-Deog CMO emphasized the confidence in quality, he added, “In addition to securing stable yields, we will increase the output to 1.7 ~ 1.8 million units in 2017 and 2.5 million units in 2018.” and explained that they finished all the preparations that OLED TV can influence in terms of production. OLED TV has been rated as one of the best products by the world’s leading professional rating agencies such as ‘Consumer Report’, a nonprofit consumer organization in the US. OLED TV can be used for interior decoration that displays pictures and photos even when not watching TV, and easy to apply on various AI platforms so that there is no limit to the range of applications. LG Display expects OLED TVs with infinite scalability to change the lifestyle of consumers. LG Display plans to build an OLED landmark in Guangzhou Tower while operating an OLED experience center in the core city of China. Meanwhile, Vincent Teoh, editor-in-chief and image quality expert at HDTV Test, explained that the TV picture quality test conducted recently proved the overwhelming superiority of OLED TV in all aspects such as contrast and color accuracy, famous Chinese photographer Tungmeong (童梦) shared the experience of use from the user perspective that OLED is the best display to realize the natural color. 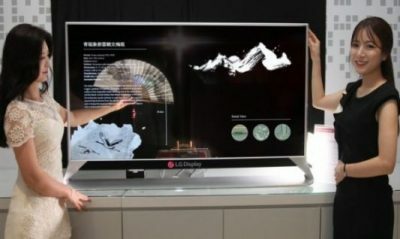 On the other side of the event hall, there prepared the experience zone that can compare structure and image quality of OLED, gallery that can be observed high-end products such as CSO and wallpapers TV and products released by customers allowing attendees to directly experience the benefits of OLED TV. LG Electronics is expanding its OLED TV camp to dominate the premium market. 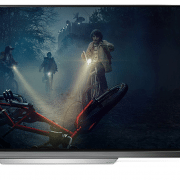 LG Electronics decided to supply OLED TV since September to Danish prestigious audio company B & O (Bang & Olufsen), making a fruitful result of OLED TV expansion. 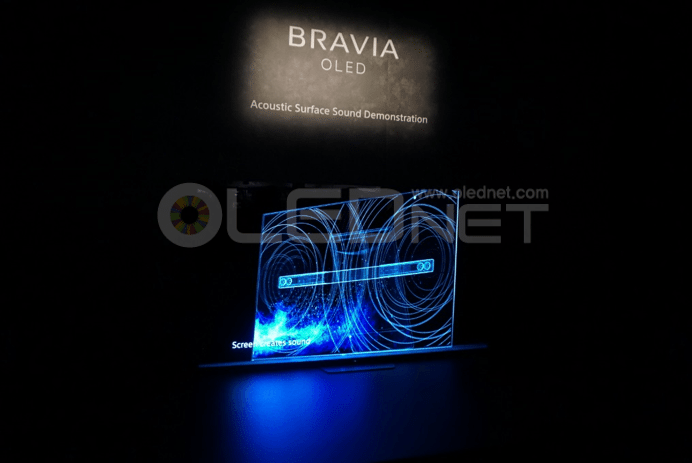 ‘B & O’ held an OLED TV public event in Berlin on Aug 30th in local time. ‘LG OLED TV is equipped with its own sound technology and will be shown to visitors at ‘IFA 2017’ from September 1 to 6. LG Electronics also emphasized that the OLED TV camp is on the constant rise. It is expected that there will be 13 manufacturers exhibiting OLED TV at ‘IFA 2017’. 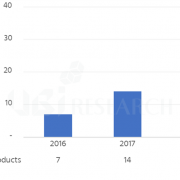 As the number of companies increased from 11 last year, it is said that these companies are planning to execute their premium marketing strategies by bringing OLED TV in front. LG Electronics analyzed that mushrooming OLED TV sales among many companies are attributed to securing a stable profit structure. 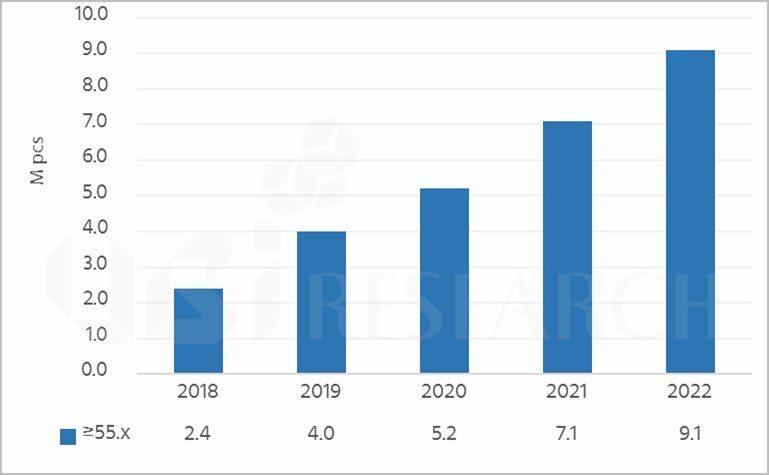 As Chinese and Taiwanese makers are investing heavily in LCD panel production, the price competition is likely to be intensified in the future and LCD technology has already reached the maturity phase, difficult to be differentiated with LCD. 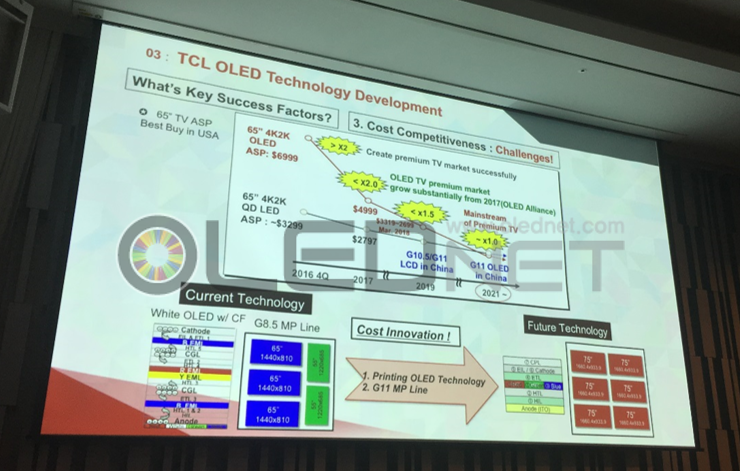 Taken the market environment into consideration, TV makers have been targeting a premium market with differentiated OLED TV. LG Electronics announced that OLED TV makes the profit structure of LG Electronics stable and secure. 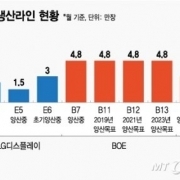 The HE division in charge of TV business stated that it achieved 8.5% of operating profit (sales 8,561 billion KRW, operating profit 725.2 billion KRW) in the first half of this year. 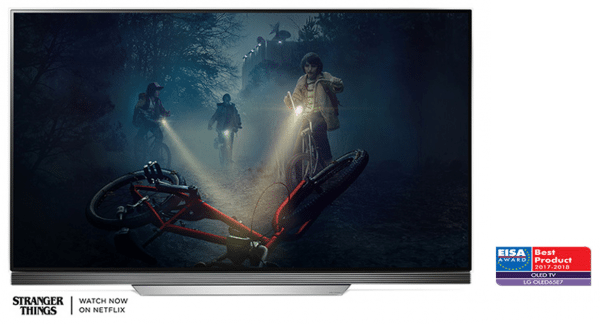 LG Electronics mentioned the premium OLED TV has brought the high profitability and noted that OLED TV sales accounted for 15% of sales in the first half of LG Electronics’ business operation. The LG OLED TV currently being commercialized has swept the various awards by media and experts all over the world, and is ranking number one in the performance evaluation. The screen quality, sound quality and design have been complimented in the TV’s key elements. On August 15th, LG Electronics’ premium TVs including OLED TV received EISA’s most prestigious award in Europe. LG OLED TV (model: OLED65E7) was selected as ‘EISA OLED TV’ by the European Imaging and Sound Association (EISA). LG OLED has once again proven its advanced technology by winning the ‘EISA Award’ for six consecutive years since 2012. The association commended “LG OLED TV has the ability to deliver perfect black for an incredible picture as well as vivid color expression and wide viewing angle”. “And black expression and brightness has improved compared to last year.” In addition, the judges were also impressed by its diverse HDR such as Dolby Vision and HDR10, ultra-slim design, rich sound of Dolby Atmos, and convenient usage. LG Sound Bar was recognized with the ‘EISA Sound Bar Award’. It was cited as being one of the rare products with both luxury design and sound. The judges also said it is well harmonized with surround sound and rich medium-low sound due to Dolby Atmos technology. The ‘EISA Award’, held by EISA(European Imaging and Sound Association), is highly recognized worldwide in the field of imaging and sound. EISA is the Europe’s largest multi-media association of AV experts from 20 countries. Since 1982, it has selected the best products in the field of sound, imaging, photography and mobile devices every year. The jury, composed of reporters and external technical experts, selects the winners so it is highly credible. “We will continue to lead the premium TV market with the products that are recognized for their advanced technology,” said Kwon Bong-suk, vice president of LG’s HE business. LG Electronics spoke that “The portion of premium TVs in total TV sales will be increased from about 40% in 2016 to around 50% in first half of 2017 and up to 60% in the end of this year.” at the conference call in Q2 2017, which was held on 27th. The performance in Q2 for HE area of LG Electronics showed 4 trillion and 234.9 billion won in sales, and 343 billion won in operating profit. The QOQ on sales was declined to 2.1%, and the demands of the global TV market are continuously reducing, but the sales of the same quarter in last year showed 1.9% growth through the sales expansion of the OLED premium TVs. They stated to be maintaining the stable profit structures with aiming at continuous sales expansion of premium products through the marketing promotion for the premium TV-oriented to prepare the high-season for the TV market in second half. LG Display, Expects 40% of OLED out of total sales in 2020. 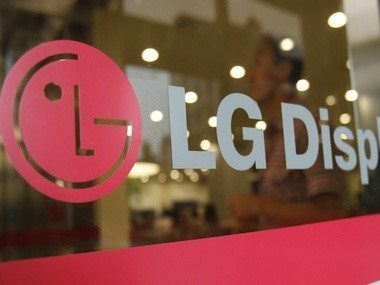 LG Display spoke that they plan to change the sales structure by focusing on the OLED sales at the conference call in Q2, 2017 which was held on 26 July, and they expected that the OLED sales portion among the total sales would be from 10% in this year to 40% in 2020. Meanwhile, the sales of LG Display for the Q2 this year were reduced QOQ 6% (7,620 billion won) as 6,629 billion won, but, increased 13% versus same quarter of last year (5,855 billion won). 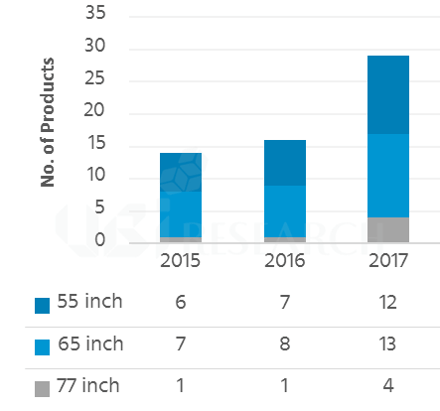 The portions by the products are following: 46% for TV panels (QOQ +3%p), 22% for Mobile panels (QOQ -4%p), 17% for Monitor panels (QOQ +2%p), 15% for Laptop/Tablet panels (QOQ -1%p). 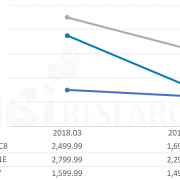 LG Display explained that the performance in first half declined due to the seasonality impact, but the shipments in second half considered as high-season, will be increased versus first half. 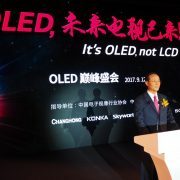 http://olednet.com/wp-content/uploads/2017/07/0125_2.jpg 285 380 OLEDNET /wp-content/uploads/2015/09/logo_oled.png OLEDNET2017-07-26 09:35:522018-09-26 20:10:28LG Display, Expects 40% of OLED out of total sales in 2020. LG Display announced on the 16th that it received the ‘Achievement Award’ for the first time as a foreign company in recognition of the superiority of WRGB technology that enabled the production of large OLED TV and the pioneering of the large OLED TV market at the 24th Japan OLED forum held at the NHK Science & Technology Research Laboratories in Tokyo. 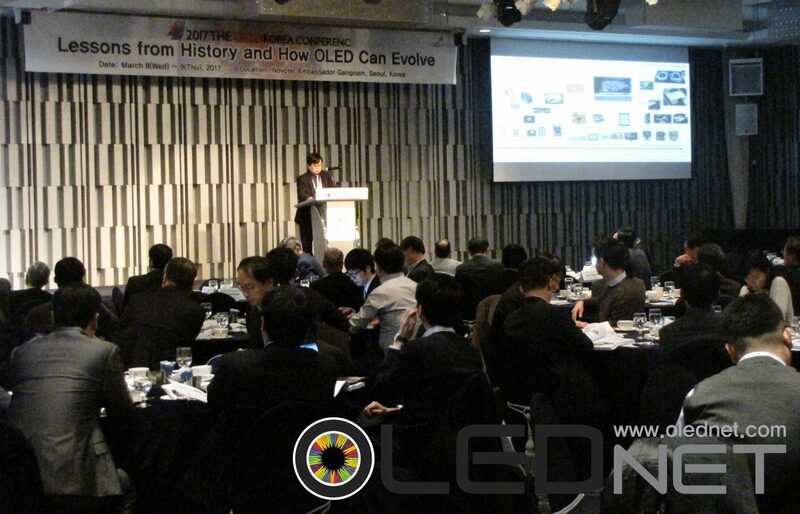 The Japan OLED forum is an academic society where experts from Japan’s major industries and academia gather together to discuss and discuss solutions for academic, applied research, and practical applications related to OLED, such as Tokyo University, Kyushu University, Sony, JDI and JOLED. According to the Japan OLED forum, LG Display is recognized for its technological ability to produce large-size OLED TVs and for pioneering large OLED TV market and won the award for achievement for the first time as the overseas company. The technology that LG Display recognized for its achievements is WRGB technology that builds up R, G, B organic materials on a thin film transistor (TFT) vertically and adds white elements to make four subpixels, not the RGB methods that arrange R, G, B organic materials on a thin film transistor (TFT) horizontally..
LG Display used this technology to mass-produce OLED TV panels for the first time in the world in January 2013 while pioneering the large OLED TV market. 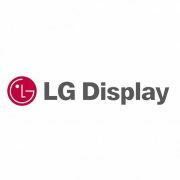 LG-Display emphasized “this award is significant because it acknowledged the technology of LG Display, which produces large-sized OLED panels in Japan, which is the mainstay of flat panel displays”. 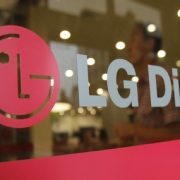 Oh Chang-ho, Managing Director of LG Display’s OLED TV Development Group, said, “I am extremely honored that LG Display has been recognized for its OLED technology by industry-leading experts”, and “We will make efforts to contribute to the development of the display industry by developing differentiated OLED products in the future,” . 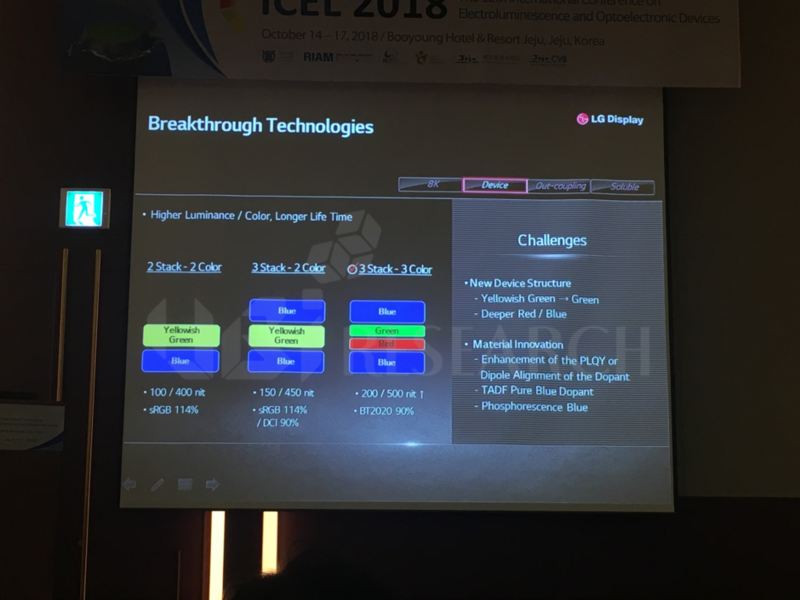 On the other hand, LG-Display was not only able to realize excellent image quality with 65inch UHD Wallpaper OLED panel in SID 2017 but also received the Display of the Year this year as an innovative product that presents new possibilities for display in terms of application scope and design. Samsung Display and LG Display announced on the 18th that their technology were recognized as OLED respectively in the Society for Information Display (SID), the world’s largest Display society. SID awards the prize to promising innovative display products, components, and applications that unveil the future of the global display industry among the products launched last year. According to SID, Samsung Display’s quad-edge flexible OLED in Galaxy S7 Edge was the first in the industry to display the top, bottom, left, and right sides of the display in a curved shape, and won the Display Industry Awards for its outstanding technology. This product uses a BM (black matrix) area minimization design technology to further reduce the bezel by 0.2mm, the upper and lower end portions (curvature radius 25R) were finely changed to realize a gentle curved shape. In addition, for the aesthetics and comfortable grip, the left and right edge portions of the panel were subjected to four different curvatures (curvature radius 35R → 9.4R → 5.4R → 3.8R). 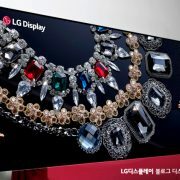 On the other hand, LG Display’s 65-inch UHD Wallpaper OLED panel, which was selected as the display of the year, was evaluated as an innovative product that not only realizes excellent image quality by adopting OLED technology but also presents new potential of display in terms of application range and design. The OLED TV with this panel has already won numerous awards from the world’s leading media such as ENGAGET and SINET as well as CES 2017, On the 16th, it received 89 points (TV evaluation part) which is the highest point from the consumer report, American consumer media. OLED panel applied to 65inch UHD Wallpaper OLED TV is less than 1mm thick and when it is made in TV set, thickness is less than 3.55mm and weighs only 7.4kg so that it can be brought into close contact with the wall like a frame. In addition, maximizing the design effect increases the immersion feeling when watching TV. Sony announced on the 8th May that two models (55” and 65”) of the 4K BRAVIA OLED TV A1E series shown last Jan at CES 2017 will be launched in Japan as from June 10. Sony’s BRAVIA OLED TV is equipped with LG Display’s WRGB OLED, 4K high-definition processor X1 Extreme and acoustic surface technology which directly generates sound with the screen vibrating. A ball park price for 55-inch is 500,000 yen and for 65-inch, 800,000 yen. Sony is also planning to release 77-inch wide TV which will be expectedly launched this autumn. The CEO of Ichiro Takagi Sony Visual products talked about the OLED TV strategies, saying ” OLED panels as well as premium models using the X1 Extreme will offer the best screen quality, sound and immersive experience”. The Sony’s OLED TV launch is expected to bring great impact on the premium TV market currently predominated by Samsung Electronics and LG Electronics. LG Electronics, expected to compete directly with Sony, is planning to introduce new OLED TVs at a lower price than last year; the focal point is how Sony’s OLED TV will affect the commercialization of OLED TV and display industry. 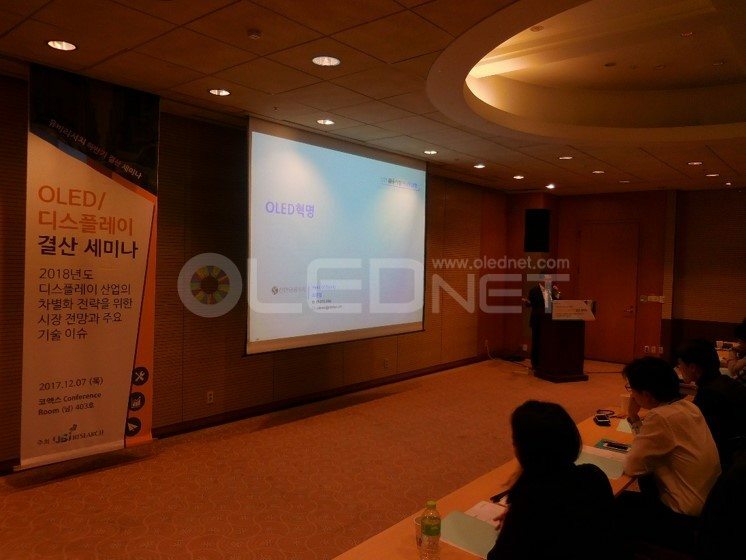 In line with it, Mr. Lee, Choong Hoon, the CEO of UBI research has foreseen at the Topic seminar last April held in the conference center of Yeouido JeonKyungYeon Hall on 21st April 2017 that Sony’s OLED TV will account for about 27% of the total OLED TV market with approx. 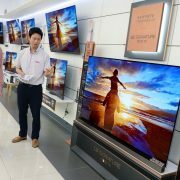 400,000 sets to be sold in 2017, and 38% of the total OLED TV market with 3.4 million sets in 2021. Consumer reports picked OLED TV of LG Electronics as the best 4K TV to buy right now, while gave QLED TV of Samsung Electronics 10th place. Consumer Reports which is a consumer magazine in US, selected OLED TV OLED65C7P of LG Electronics launched in this year as the ‘Best 4K TVs to Buy Right Now’ on 16th, since ‘OLED TV is the best for expressing black, so it can provide entirely different image quality’. 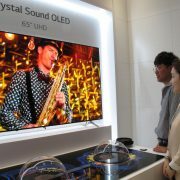 Consumer Reports evaluated that OLED65C7P has high resolution, excellent image quality and outstanding sound performance. It has the best HDR performance among the products tested this year and it will be hard to find a better TV than it.” Consumer Reports gave 88 points, the highest score ever. This is higher score than 86 points that OLED65G6P of LG Electronics received in November. In addition, OLED65G6P of OLED TV model in 2016 of LG’s got 86 points and OLED65E6P was followed as 85 points. OLED55E6P and OLED55B6P jointly received 83 points. QLED TV QN65Q8C of Samsung Electronics launched in this year gained 79 points. Consumer Reports explained that it is excellent in resolution, image quality, and sound quality, however there was black mark for the high price in spite of backlighting existence, limit of expression for black due to backlighting and cloud phenomenon. And Consumer Reports quoted the words of industry source that it would take more than three years for launching of true self-emitting QLED TV. 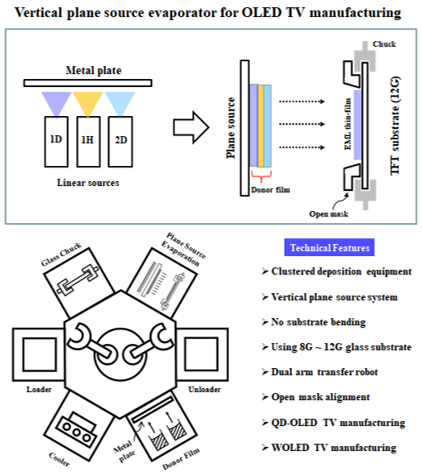 In the ‘Solution process OLED annual report’, UBi research expected that QLED deposition materials have issues on a short life-span compared to phosphorescence OLED deposition materials that are currently being commercialized, efficiency problem, development of eco-friendly devices, lack of infrastructure compared to OLED. In case of not establishing infrastructure and aggressive investment such as manpower recruitment and expansion of the development investment, the time of commercialization will be far from here. The performance in Q1 of HE in LG Electronics was 4 trillion 3261 billion won of sales volume and 3822 billion won of sales profit. It has been reduced 4600 billion won versus previous quarter under the influence of off-season. Nonetheless, YOY (Year on Year) has been kept at the same level. The sales volume was grown up in the area of North America, South Korea and Latin America for the reason of sales expansion of premium TV, though the market in Asia was decreased versus QoQ for the lack of sufficient demand. The strategy in TV market of LG Electronics announced at the conference call in Q1 2017 is consistent development of premium TV lineup which brings better profitability with high value-added product. They also expressed that will firmly build their position in the premium TV market with product competitiveness by image quality and technology rather than price competitiveness related to panel price. LG Display announced that it will concentrate 70% of CAPEX(investment cost for future profits) on large-sized OLED and POLED, and among them, the proportion of POLED will be higher than that of large OLED through the 2017 Q1 conference call held on April 26. For the LG Display’s plan for OLED Lighting business and OLED panel shipment, mentioned “OLED lighting will be produced about 15,000 sheets in the second half of 2017, and POLED will be mass-produced in Gumi E5 at the end of 2Q 2017. Meanwhile, said that the sale proportion by product based on LG Display’s sales amount in Q1 this year were 43% for TV panels, 26% for mobile panels, 16% for notebooks and tablets, and 15% for monitors. Also, quarterly operating profit reached a record profit of 1.269 trillion won through continuous overall price increase trend of panel and the mix operation of profit-oriented products of high-resolution, high-end IT products and etc. Also, by mentioning the Crystal Sound OLED that was introduced during the last CES 2017 he revealed, ” The Crystal Sound OLED that materializes sound from the inside by internalizing a sound system to the OLED panel can increase immersion since it sounds like the person is actually speaking. Brand image will increase and profit will be created at the same time if the OLED TV is released, and the representing evidence is the award at the CES 2017 and performance on Best Buy. 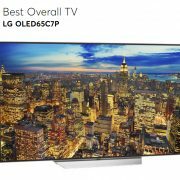 The OLED TV actually received 54 awards during the CES 2017 which is 3x more than its competitors, and earned big responses like receiving a 68% on a survey of the most impressive TV during the CES 2017 that was targeted for investors and analysts. Also, even though OLED TV has been displayed in the corner these days, it shows pictures of Best Buy in the center of the store and compared to the 3rd quarter of 2016 it shows a slight increase of 1.4 contravariant to a 35% increase of business profit in the 3rd quarter of 2017, all of which is evaluated that OLED TV had a big part is this. On the other hand, Director Suyeong Yoon predicted that Sony, which is in the BEST3 of the premium TV market, will participate in the OLED TV and 1.7M~1.9M large OLED panels will be shipped. He also mentioned that OLED TV is quickly growing in the world premium TV market and even though the OLED TV is focused on the premium TV market due to the current output it plans to slowly increase its output and decrease the cost to enter the middle-end market.